Having moved around a bit over the last several years, it’s not uncommon for someone to ask me if I miss living in either New York or Los Angeles. It’s also not uncommon for me to turn a relatively simple question into a conversation about food. So when you ask me if I miss New York, I’ll probably start talking about the bacon sliders at Mark Burger in the Lower East Side, or the rich, buttery lobster rolls at Luke’s Lobster. In discussing what I miss most about Los Angeles, you can bet your bottom dollar that I’ll mention Milo & Olive’s breakfast farro. I’d heard of farro before, but don’t think I’d ever had it and certainly didn’t know anything about it until discovering it at Milo & Olive. 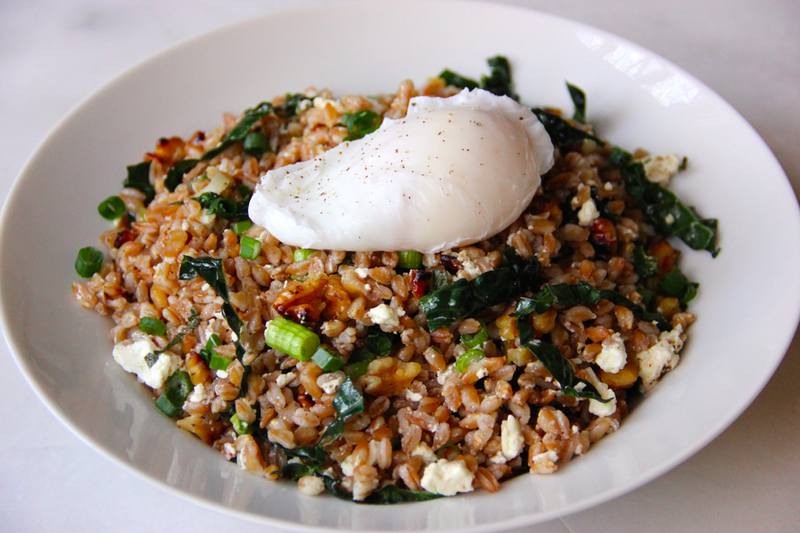 It turns out I’m in good company, as farro is a seriously underappreciated food here in the states. In Italy on the other hand, farro is believed to be the ancestor of all wheat species and, as such, is commonly referred to as “la madre di tutte grano” or “the mother of all wheat”. 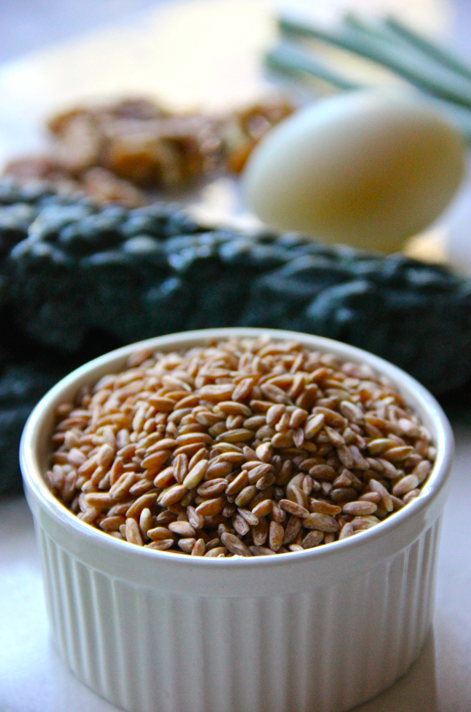 In actuality, farro is the oldest cultivated grain in the world. It was both consumed as well as traded as a form of currency in ancient Rome, and 2,000 years later remains a staple in authentic Italian cooking from breakfast porridges to farroto, a twist on the ever-popular risotto. I get a kick out of people who take flavor profiles to an extreme. Take this authentic description of a wine as offered by a professional sommelier: “its aromatics offer incredible aromas of dried flowers, beef blood, spice, figs, sweet black currants, smoked game, lavender, and sweaty but attractive saddle leather-like notes”. Yes! That’s exactly what I was looking for! The flavors of dried flowers, beef blood and sweaty but attractive saddle leather-like notes sound like they will pair perfectly with my coq au vin! I admittedly don’t have the most refined of palates, so thankfully I usually don’t pick up on such distinct and eccentric flavors. 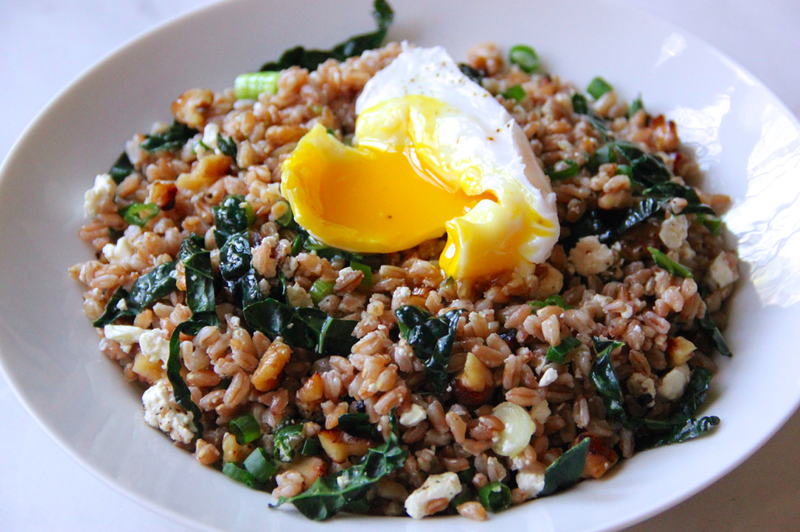 I also didn’t pick up on the undertones of cinnamon and cashew that are often used to describe farro. I would however definitely describe it as hearty, and with a nutty and earthy flavor. 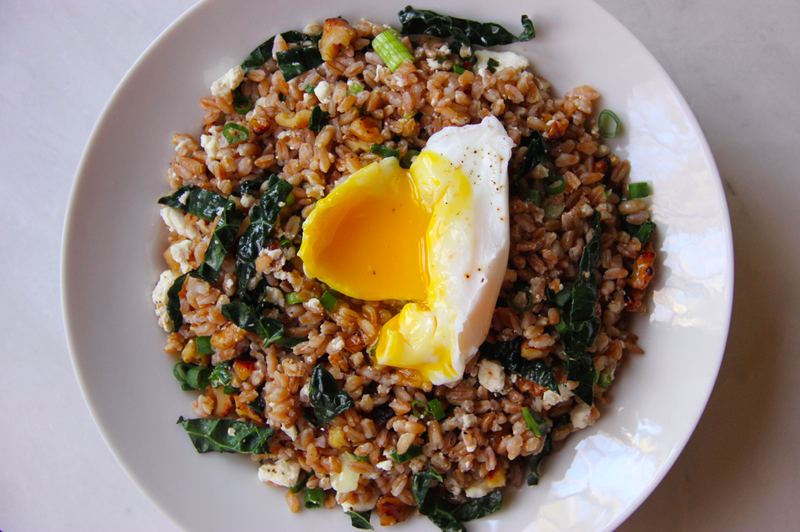 Aside from being delicious, farro is also incredibly healthy, boasting almost twice the fiber and protein content as brown rice with about half of the calories (score!). I’ve been battling cravings for Milo & Olive’s breakfast farro on and off since moving back to the Bay Area, and eventually decided to take a stab at it. 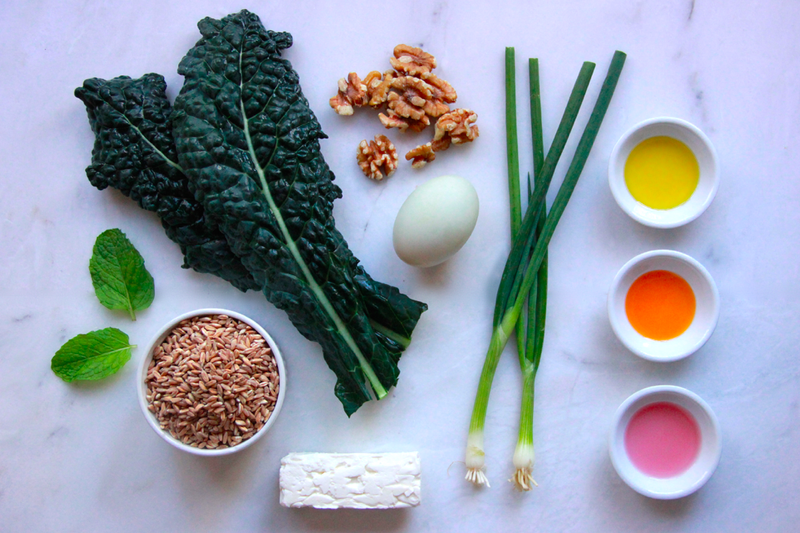 I stayed true to Milo & Olive’s original recipe with ingredients such as kale, goat cheese and a poached egg, but had fun adding my own flavors such as toasted walnuts, green onion and mint. I also switched out the chicken egg with a poached duck egg, which adds an additional richness in both the flavor and consistency of the dish. I also love duck eggs for their nutritional benefits and, quite simply, their beauty. Just look at them! And while some will be quick to (correctly) point out that they have a bit more fat than traditional chicken eggs, duck eggs yield more protein and last almost twice as long in the fridge due to the additional protection provided by their thicker shell. I usually don’t like trying to re-create something I’ve had in a restaurant because I’m often disappointed and fall short of what I’m trying to achieve. This dish, I’m happy to say, is the exception to the norm. And don’t let the name fool you, this dish can be enjoyed at any time of the day (or night). **Makes 2 entrées or 4 side portions. Adding additional poached eggs is suggested when splitting up the dish.